Now you can also use PayTM for UPI payments. PayTM BHIM-UPI now available for all users. You can link/add your bank account and transfer money to any bank account or UPI address. 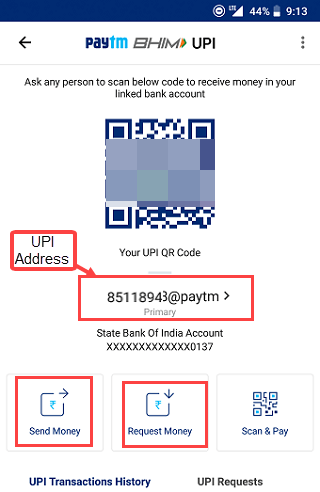 So follow this quick guide and link (Add) your bank account and start using BHIM UPI on Paytm. To start using PayTM BHIM UPI, you only need to complete two steps and you are ready to use. First of all you need to verify your mobile number which linked with your bank account. Make sure you are using bank account registered mobile number. If your phone is dual sim then set registered mobile number as primary for sms. 1: Open Paytm and tap on BHIM UPI which you can see on top. Now select your bank account. All banks now support UPI. 2: Now app will send automatic sms to verify your mobile number and fetch your bank account details that linked with mobile number. After verification complete,you can see bank account list that linked with mobile number. Select bank account and proceed. Your bank account linked now with Paytm BHIM UPI. Now you need to set up UPI PIN. 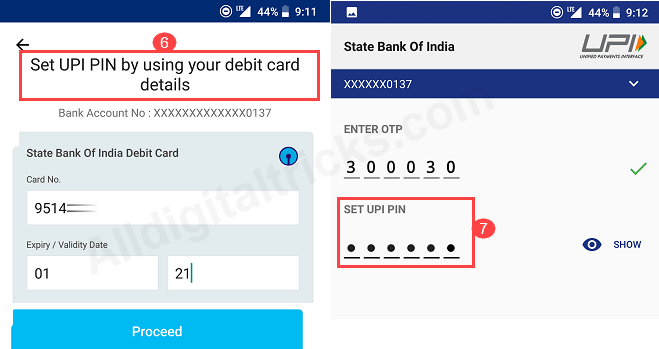 BHIM UPI PIN is a 4 or 6 digit PIN that can be used for authenticating your UPI transactions. Your UPI PIN will be validated by the bank whose account you are using to pay with. 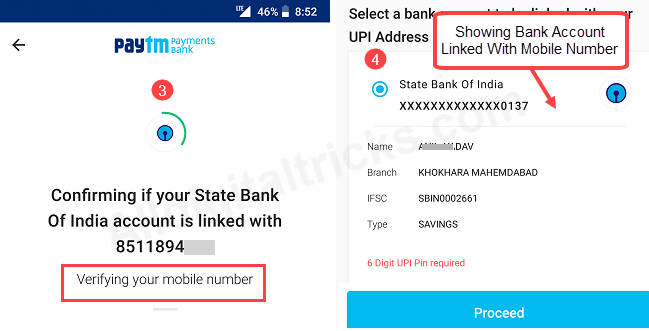 The UPI PIN is different for different bank accounts. 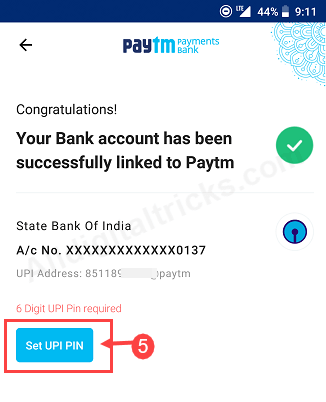 3: To set UPI PIN tap on Set UPI PIN. 4: Next screen,enter your debit card last 6-digit number and expiry date and proceed. Now you will receive OTP on your mobile number, enter OTP and set your 4-6 digit UPI PIN. All done! you are now ready to use Paytm BHIM UPI. Now tap on BHIM UPI and you can see UPI dashboard. Here you can see your VPA address which you can use to receive money on your linked bank account. Scan & pay feature allows you to pay at any merchant shop directly from your bank account. 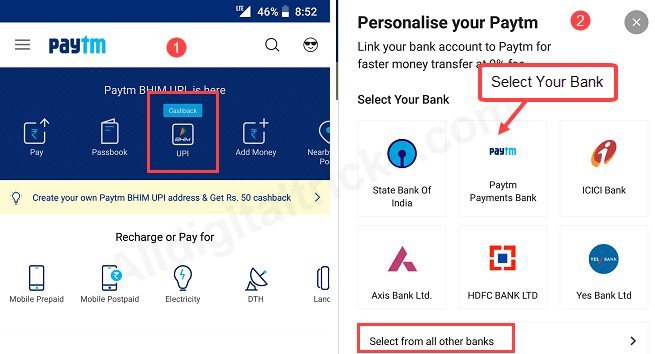 So this is how you can link (add) bank account on Paytm bhim upi and start using it for fund transfer, payment and request money.